Hate those "Most used" and "Recently added" sections of the Windows 10 Start menu? Here's how to get rid of them and add items that are actually useful. I don’t know about you, but I didn’t realize how much I’d missed the Start menu until I moved from Windows 8.1 to Windows 10 a few weeks ago (stop looking so smug Start8 users). It’s a fantastic feeling to have it back, and I really like the live tiles addition. 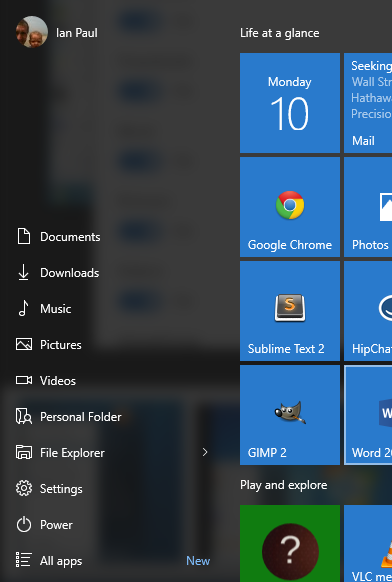 One thing I can’t stand, however, is how Microsoft uses the left side of the Start menu in Windows 10. It’s filled up with the “most used” apps that are anything but, and I really don’t need that “recently added” section for newly installed apps and programs. If you feel the same way you can turn all that off, and fill it up with items you actually might use. The default view of the left side of the Windows 10 Start menu. Let’s get started by hitting Start and opening the Settings app. Then go to Personalization > Start. Now just slide to Off the options for Show most used apps and Show recently added apps. Now that we’ve done that, there’s a big empty hole on the left side of the Start menu. We can’t fill it up with just anything we want, but we do have a few options. In the Settings app again, navigate to Personalization > Start > Choose which folders appear on Start. This screen is just a set of sliders to make specific folders appear in Start. It’s kind of similar to what you see in the Windows 7 Start menu such as the documents, pictures, and music folders. Only this time the folders show up on the left instead of the right. 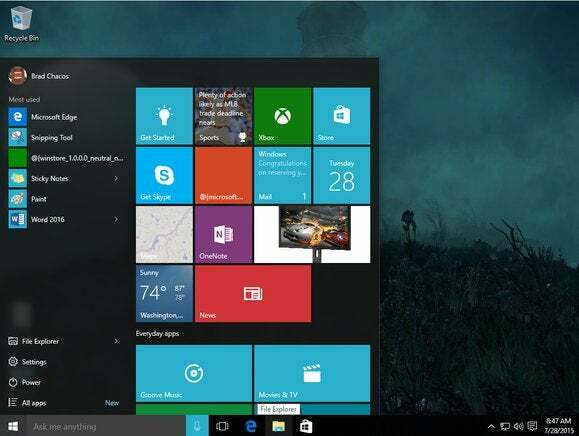 The left side of the Windows 10 Start menu post-customization. There are also some system settings you can add in this list that aren’t folders, such as quick access to Homegroup and network settings. Personally, I went with a bunch of folders including Documents, Downloads, Music, Pictures, Videos, and Personal folder, which is just a fancy name for the root of your Windows user folder. As you can see in this image, that does a pretty good job of filling up the dead space. Perhaps I’ll turn on the Recently added section again, but for now I’m content with it as-is. Want more Start menu tips? Check out Nick Mediati’s look at the right side of the menu and how to tweak the live tiles area.